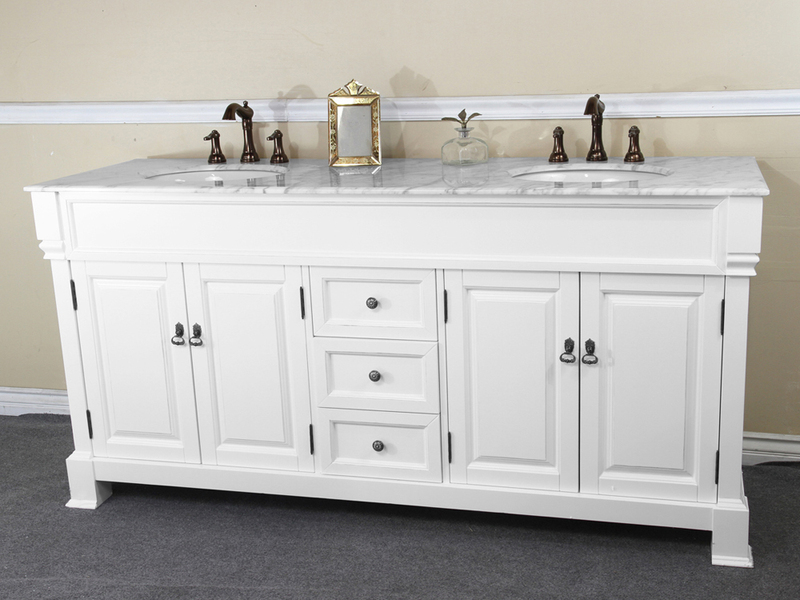 Give your bathroom a look that is both sophisticated and functional with the Helena Double Sink Vanity. 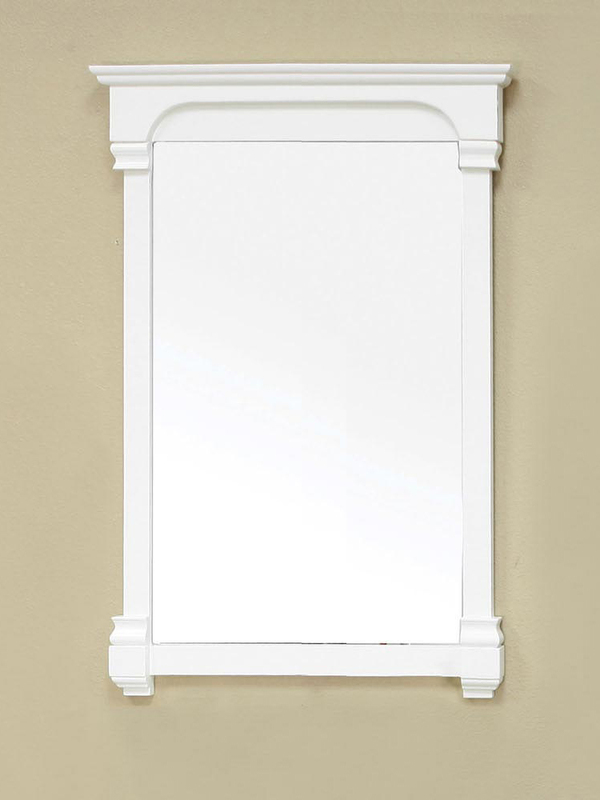 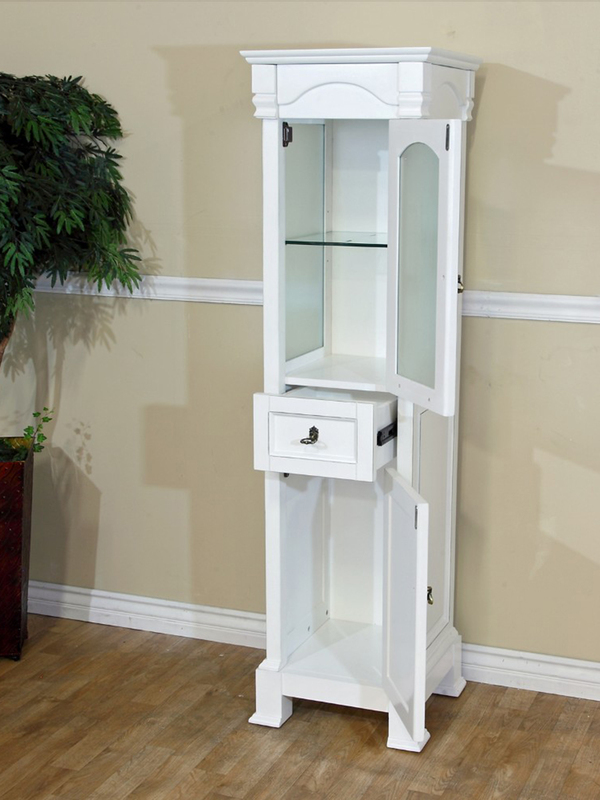 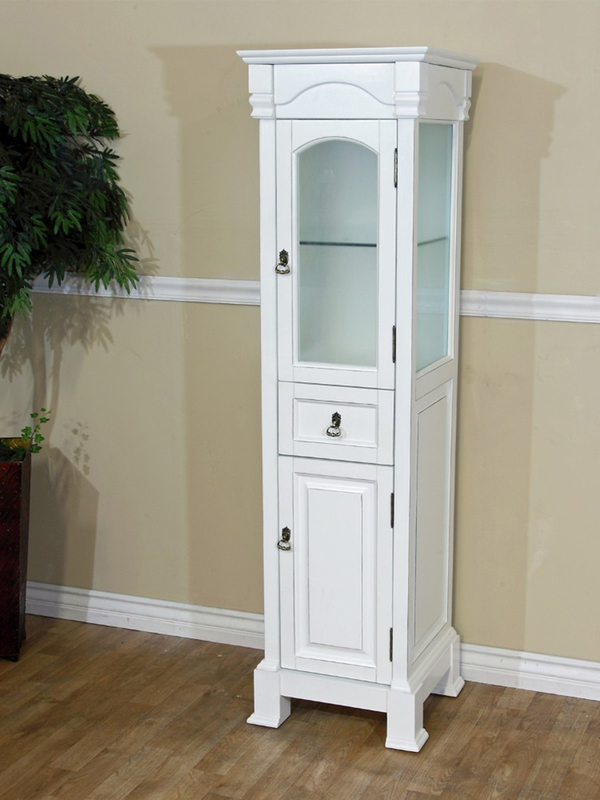 Its beautiful details and Antique White finish make it an attractive centerpiece for any bathroom that requires storage space and functionality. 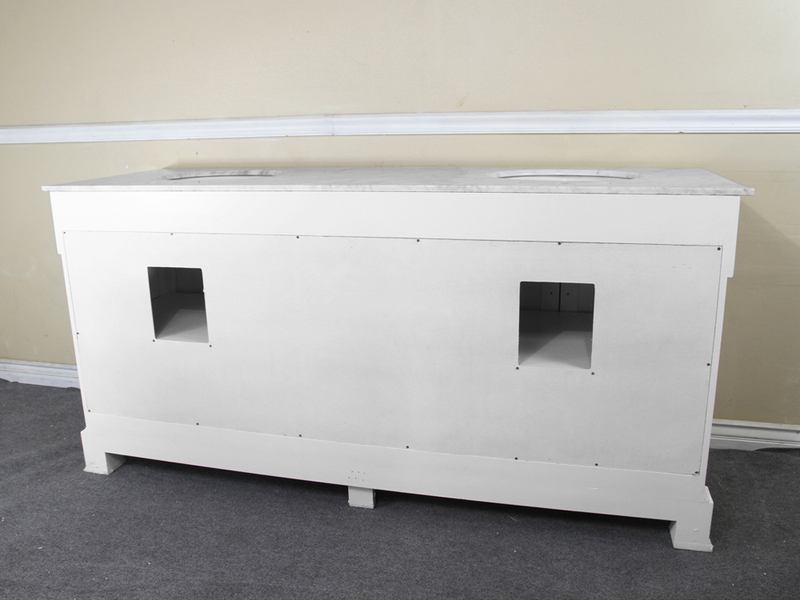 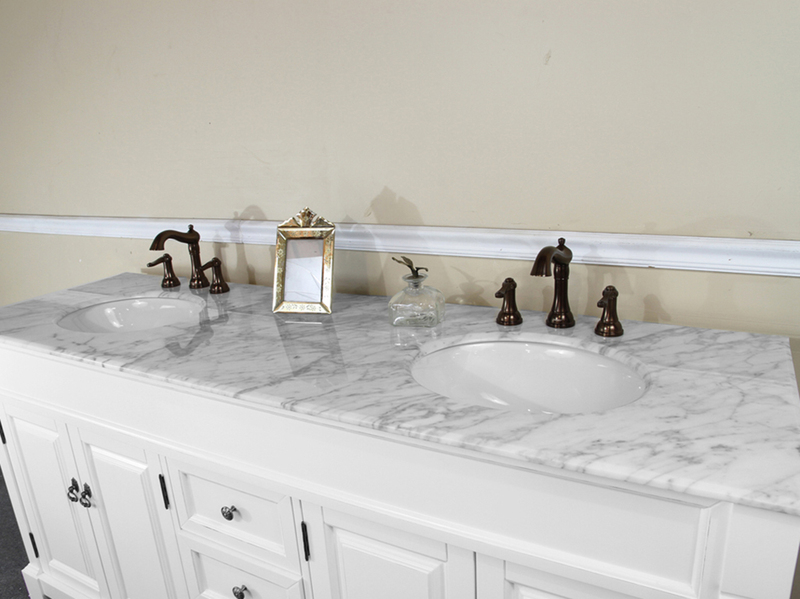 It features a White Marble top with two undermount ceramic sinks and three pre-drilled faucet holes each. 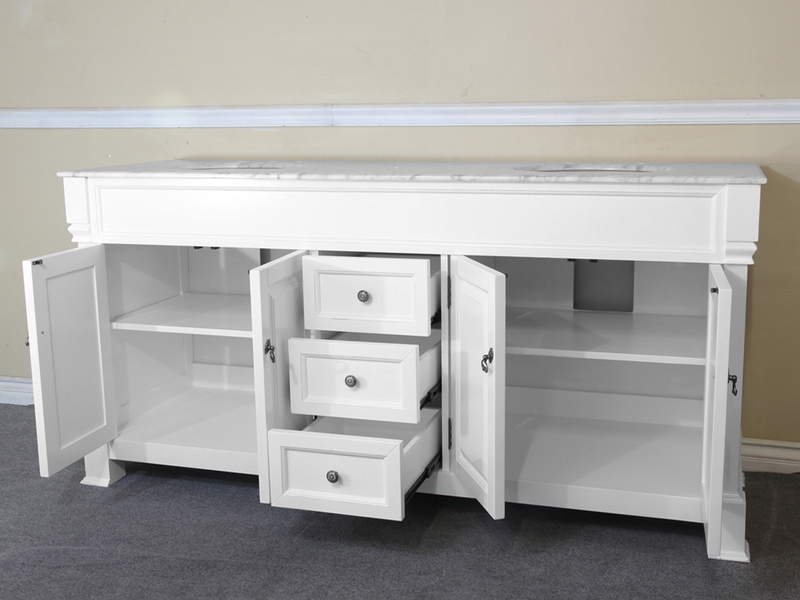 The cabinet offers two double-door cabinets and three functional drawers equipped with full-extension ball-bearing glides. 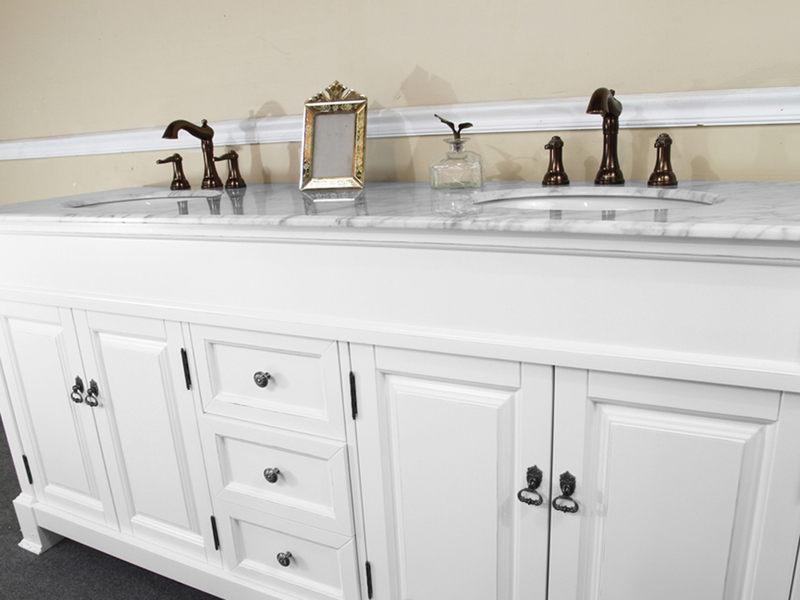 To top off the traditional look, antique brass hardware adorn each of the cabinet doors and drawer fronts.